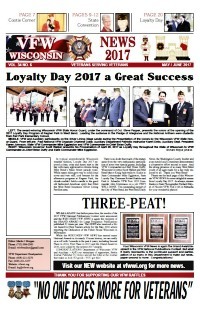 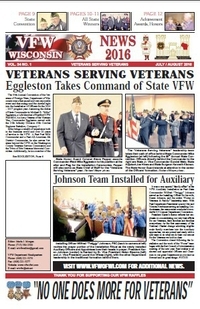 Your National Award-winning Wisconsin VFW Newspaper leads the way again for the 2018-2019 Program year, securing its 4th consecutive National Grand Award for Large Frequency (5+ times per year) Department publications. 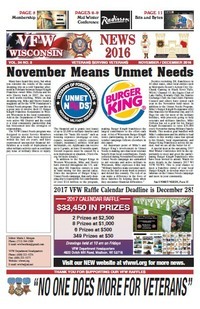 View or download your copy of the current edition. 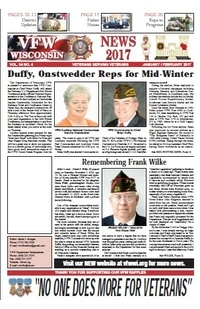 As we transition to our new Wisconsin State VFW website, we are in the process of organizing a complete library of back issues.